2015 is set to be another big year for the tech industry. Gartner and IDC predict a bold future with a big emphasis on security & advances in 3D printing. 2015 is set to be another big year for the tech industry with more revolutionary technologies in the fields of business intelligence, the wave of IT on traditional businesses and the formation of futuristic technologies, which will change how, the world connects. Recent reports from Gartner and IDC predict a bold future in technology practices with a big emphasis on security as well as the ever-intriguing 3D printing world. Here are PC Mag’s top 11 predictions for 2015. Starting of the list with 3D printing is a necessity. 3D printing is getting hotter and hotter. With the recent announcement of Hewlett Packard (HP) announcing their much-anticipated development of their 3D printing technology, the race to become the number one player in the 3D market has never been more lucrative. In a recent press release by Gartner, “Worldwide shipments of 3D printers (3DPs) will reach 217,350 units in 2015, up from 108,151 in 2014, according to Gartner, Inc.’s latest forecast. 3D printer shipments will more than double every year between 2015 and 2018, by which time worldwide shipments are forecast to reach more than 2.3 million.” 3D printing will change the world as 3D printing is cost-effective and feasible in producing costs through improved designs, manufacturing and quick product prototyping. This might seem obvious as computing seems to be all around us, but reports say that computing will literally be all around us – and streamlined. Vice President and Gartner fellow, David Cearley, explained at the 2014 Gartner Symposium that with more consumers turning to the convenience of mobile, companies will have a greater focus on serving the needs of customers through mobile technologies and understanding user behaviour through more diverse elements, rather than just the mobile devices themselves. When I first ever heard the term Cloud Computing, I thought it was a puffy, white cumulonimbus cloud, accepting connections and doling out information as it floats. You’re not alone if you don’t know what cloud computing is, but now you certainly will as cloud computing continues to promote rapidly with the main feature of a centrally coordinated system for applications that can be accessed by many devices. Cloud computing is in 2015 is set to reach $118 billion mainly on public and private clouds. Many envision the likes of intriguing partnerships in the cloud space with Facebook teeing up with Microsoft or IBM and the possibility of Amazon with HP. This will heat up and must keep an eye out for in 2015. It’s no surprise that Internet of Things space is increasingly becoming a focal point for many tech companies which have identified that apps are really just the tip of the iceberg for potential groundbreaking technology. With companies such as Facebook acquiring Oculus Rift for $2billion, many companies are seeing that wearable technologies will change the landscape in how the world communicates. IoT is expected to reach in 2015 a total spending of $69.5 billion, up 14% from 2014, with a prediction in 2020 to reach $1.7 trillion. Prosperous media analytics (images, video and audio) are surfacing to be the big driving force of data projects, contributing to an estimate spending reach of $125 billion in 2015. The big players (e.g. Amazon, Microsoft) will offer Data-as-a-Service through cloud technologies with the support of analytics to pinpoint value-added information from commercial and open data sets. The Internet of Things space will sure be next in the pipeline as a demanding focal point as there are has been accelerated growth in the number of apps in company with wearable technologies, and it doesn’t look like slowing any time soon. Are we coming closer to the world of Futurama? Gartner certainly thinks so. Vice President Cearly said “Prototype autonomous vehicles, advanced robots, virtual personal assistants and smart advisors already exist and will evolve rapidly, ushering in a new age of machine helpers. The smart machine era will be the most disruptive in the history of IT.” It is an exciting time for a world of smart machines, which will significantly change how the world works. Is this really a reality anytime soon? Driverless cars in Australia are closer than you think. You know those movies such as Mission Impossible with the coolest and high tech security systems, well, the movies are becoming more real than ever. These systems are called content–rich systems which applications that have the ability to understand their users and respond appropriately to their requests, and also be alert of “their surroundings.” It can have voice-activated entry, retina recognition and floor sensors. Very cool. It’s no secret that there are many apps out their trying to break into the niche markets to serve their particular customers and this is set to continue. Nearly every industry is starting to become disrupted with various technology platforms and even the way products are bought and sold through e-commerce platforms and SaaS. The number of industry platforms – industry-specialized cloud-based data and services platforms, usually created by leaders within the industry – will expand rapidly, doubling in 2015 to 60. A big example is Bitcoin disrupting the financial industry. With more and more technology surfacing around the planet and the speculation of how new technologies are used in conjunction with security, there is a growing trend of new models of security needing to be built directly into applications. There will never be 100% security with any technology, but with more exciting and revolutionary technology, the concern of privacy for everyday consumers will continue to arise. Over the past 12 months there has been a big debate about the use big data and its handling by organisations and privacy of consumers. “Every app now needs to be an analytic app,” stated Cearley. Analytics in 2015 will be more prevalent that ever, with an increase in demand for more data scientists to enter the field. It’s an interesting time for big data and we’ve seen it with tech platforms including Facebook with very targeted ads. Will organisations know more about us than ourselves? Software defined networking, storage, data centres and security are maturing with more agile processes coming to the forefront of technology practice. Cloud services through to APIs are becoming more accessible and more important to execute with the fast-changing pace of demands in digital. Computing in 2015 will see a big shift in traditional practices into more agile and dynamic models. (This article originally appeared on PC Mag Australia at Dec, 18, 2014). 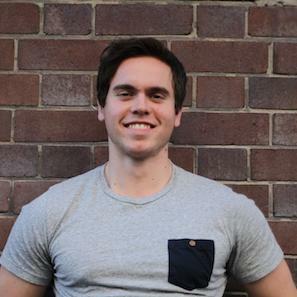 Dan Siepen is a young entrepreneur and the cofounder of Coder Factory, a coding and technology school based in Australia. He consults in marketing and growth hacking and is working on an exciting project ready to disrupt an industry. He Tweets at @DanSapien. Thank you very much for the nice post about 3D, I think I will be very helpful.